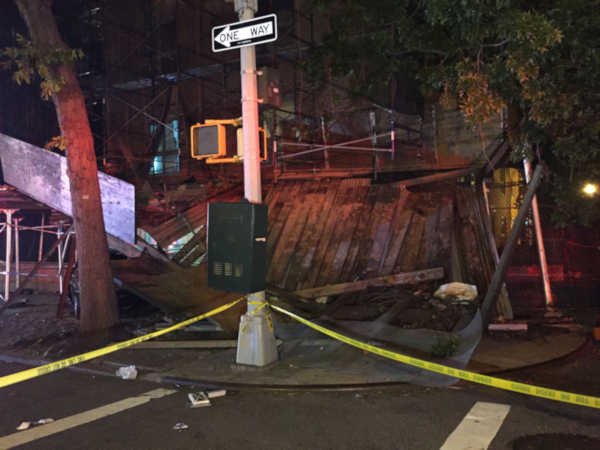 HARLEM, Manhattan (WABC) -- Several people were hurt, including a child when a livery car crashed into scaffolding in Harlem. 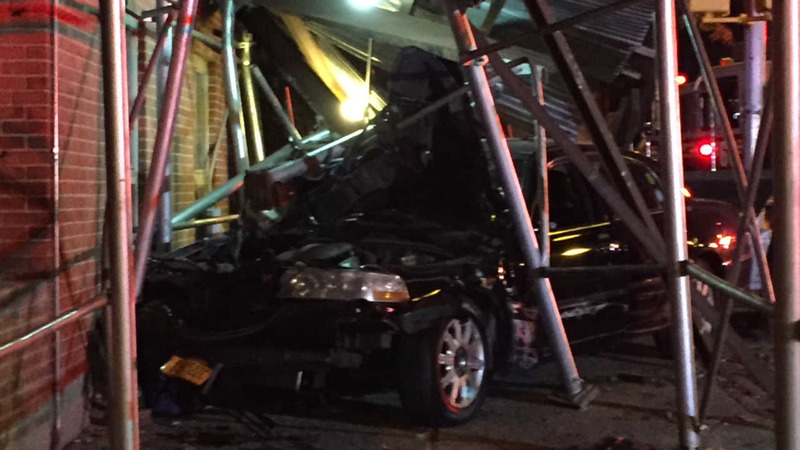 The crash occurred around 9:45 p.m. Saturday on 153rd Street near 7th Avenue. According to emergency officials, one person inside the car was hurt. Four others on the sidewalk, including a child, were also injured. The building is part of the Harlem River Houses, a five-story NYCHA facility.